LTA offers classes for adults three times throughout the year; Fall sessions start in September, Winter/Spring sessions start in January and abbreviated Summer sessions start in June. All tuition is due at the time of registration. Our schedule of current classes and secure online registration is available below. LTA offers classes for children (kindergarten – 8th Grade) three times throughout the year; Fall sessions start in September, Winter/Spring sessions start in January and abbreviated Summer sessions start in June. All tuition is due at the time of registration. Our schedule of classes and secure online registration is available below. 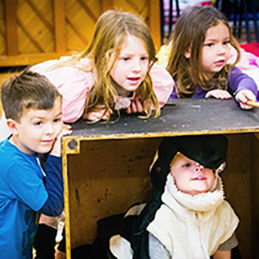 LTA offers classes for tots and preschoolers (ages 3-5) three times throughout the year; Fall sessions start in September, Winter/Spring sessions start in January and abbreviated Summer sessions start in June. All tuition is due at the time of registration. Our schedule of classes and secure online registration is available below. They’ll use your suggestions to create a fun night of improv! Snacks and drinks will be served. All current LTA Improv students get in free. Everyone else pay what you choose ($5 recommended donation). Like their Facebook page and follow them on Twitter @retrocessionist to learn more about their upcoming shows! The Little Theater of Alexandria recognizes outstanding high school students by awarding annual academic scholarships to deserving students. Through generous donations, LTA is able to offer annual one-time $1,000 college scholarships to local students. In 2015, LTA introduced these General High School Scholarship Awards, inviting Producers, Directors, and Committee Chairmen to annually nominate talented high school juniors and seniors who have taken part in at least one Main Stage production at LTA for consideration for these awards. 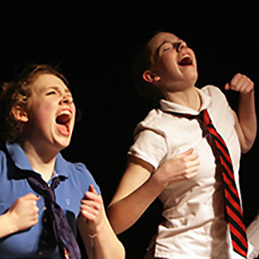 LTA offers a maximum of two annual General High School Scholarship Awards of $1,000 each to high school students who have participated in the LTA Student Intern Program in at least one Main Stage show at The Little Theater of Alexandria, one student as an actor and one in an area of technical support. Nominations of eligible students should be submitted to the Governor of Development by Producers, Directors, and Committee Chairmen throughout each year. From the list of nominations, the LTA Scholarship Selection Committee will select two recipients − one actor and one who has worked with the technical staff − and present them with scholarships at the theater’s Annual Awards Night Ceremony in the fall. Students awarded these scholarships are not required to select Theater as their field of study. Nominees and acceptable applications will be automatically submitted for consideration. Applications must be postmarked or registered with the LTA Business Office no later than June 1. A scholarship application form can be downloaded by clicking HERE. High Schoolers who are currently enrolled in an LTA class and who have previously participated in two or more LTA youth classes or camps are invited to apply to become Student Ambassadors for LTA! This select group will meet at least once a month, with their mission being to provide support for and to help promote LTA, e.g. help with set building, ushering (Junior and Seniors only, following Front of House training), participate in parades and events, and assist with pre-school and elementary age classes and workshops. Student Ambassadors will be invited to attend preview nights of LTA shows (excluding A Christmas Carol) and will be given the opportunity to attend group theatre trips. Schedules permitting, there may also be an opportunity to perform for LTA’s younger students. They will also receive community service hours, plus extracurricular leadership credit for college resumes. There is no charge for this six month pilot program, however, all participants must become junior members of LTA ($30). To apply, fill out the Student Ambassadors Application and email to Heather Sanderson at bardsplay@gmail.com. COLLIN ADAMS started dancing at the Orange School of Performing Arts competitive dance studio in Orange VA where he also fell in love with Tap. After teaching at OSPA for three years, Collin discovered his love for teaching dance. 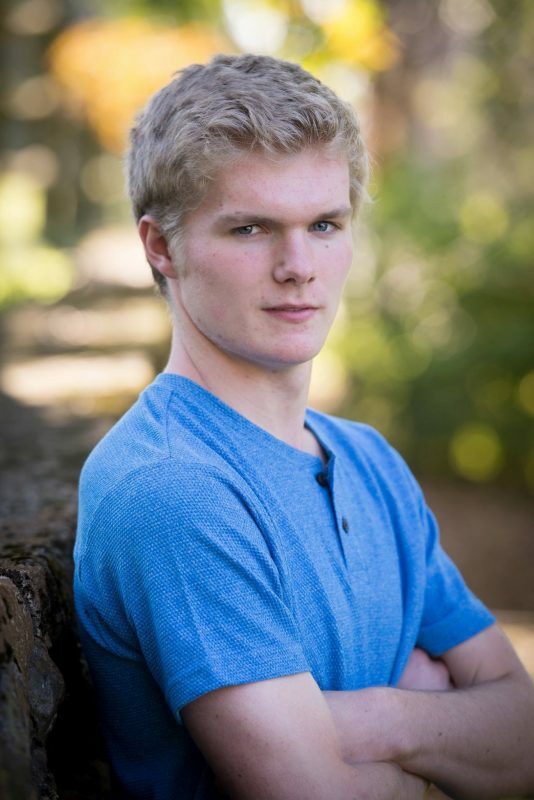 Currently a business student at George Mason University, Collin is excited to get involved with the local dance community and continue to pursue his passion for dance and teaching. 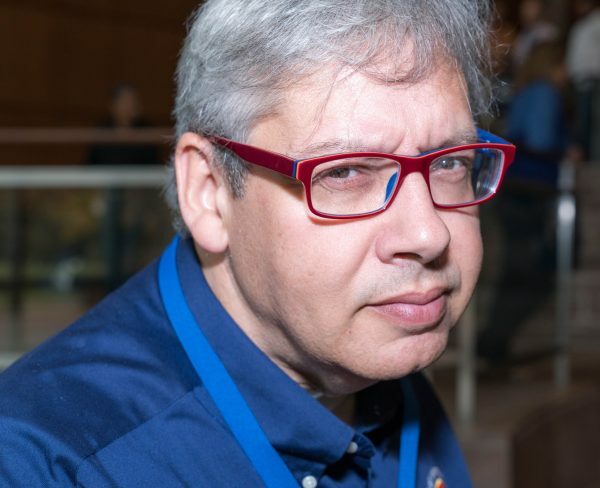 RICH AMADA is an award-winning dramatist and Emmy-winning former TV journalist. His plays have been produced around the country, including in: Washington, D.C.; New York City; Maryland; Florida; and Arizona. Rich served for five years as D.C./Baltimore Regional Representative of the Dramatists Guild. Among his multiple playwriting awards are a Playwriting Fellowship from the Arizona Commission on the Arts and an Individual Artist Award in Playwriting from the Maryland State Arts Council. Rich also directs and acts. Additionally, he is an attorney whose practice includes counseling and representing people in the arts. 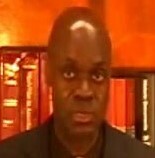 MICHAEL BAKER, JR. is a seven-time Emmy Award-winning TV host, reporter and producer. He has also garnered 6 National Telly Awards, 5 Videographer Awards and a Marcom Creative Award. He hosted and produced a talk show on Bravo for six years. Mike has garnered multiple awards for his performances in musical comedy and dramatic theatre. 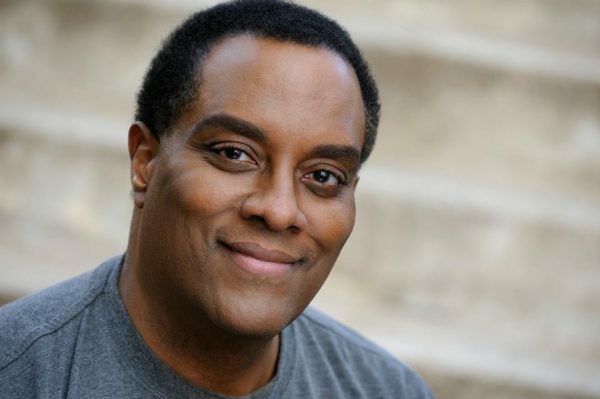 He has worked in New York as an actor and voice over artist and has sung at The Kennedy Center, Wolf Trap, and The White House. He has appeared in 30 LTA productions over the years. BEVERLEY BENDA, a professional singer by trade, retired after 30 years as a classical soprano with The United States Army Band “Pershing’s Own”, and Programming NCO and Script Writer for their Public Affairs Office. She has performance and teaching degrees from James Madison University, Eastern Illinois University, and The Eastman School of Music, and has appeared in a variety of musical productions including Brigadoon, Carmen, Carousel, Oklahoma!, Kismet, The Pirates of Penzance, Dialogue of the Carmelites, My Fair Lady, The Music Man, Hollywood Pinafore, It’s A Grand Night for Singing, and the first revival of Call Me Mister. As a private voice teacher and vocal coach, her class at LTA is the longest-running in the theater’s history. She is also on the LTA Board of Governors and is an award-winning costumer. JULI TARABECK BLACKER has a B.A in Anthropology from JMU and an M.A in Anthropology from the University of Kansas. She has recently gotten back into the theatre world, acting in The Tempest at Aldersgate and directing “Capsmittment” at LTA (2017, staged reading) and Vienna (2018, full production). She also has a history with Shakespeare, directing Merchant of Venice at JMU in 2008 and Hamlet at Port City in 2017. SUSAN BOYD is Governor for Artistic Support at LTA, where her wonderful team is responsible for maintaining all the “look and feel” assets of the theatre – wigs, makeup, costumes, wardrobe, props, set decoration, and musical instruments. She has years of experience designing costumes, hair and/or makeup for film and theatre, and has won both WATCH and LTA awards. In her “day job,” Susan is a wardrobe stylist and image consultant, teaching real people about the importance of dress and impression management. KATHERINE M. DILLABER is a JMU graduate, with a B.A in Communication Arts & Educational Certification, plus graduate studies. Post college, she performed at “Tecumseh”, Ohio; ‘Land of Oz’, N. C.; Busch Gardens, Williamsburg; and local theatres. Since 2013, she participates annually in the Broadway Teachers Workshop, NYC, working with Broadway’s top artists onstage & backstage. 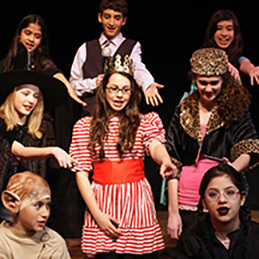 Workshops explored the theatre craft as it pertains to school & community productions. Other experiences include a techie backstage and a theatre instructor where she has directed numerous children’s productions. Her professional education, theatre positions, and years of ballet training (Cecchetti method) are constant resources for classes. SILVIA BELTRAN was born in Barcelona, Spain to the daughter of a Prima Ballerina. She has been teaching in the DC Metropolitan area for over 24 years. She is a proud Licenciate member of the Imperial Society of Teachers of Dancing, the largest most prestigious teaching society in the world; having received three certifications with honors. 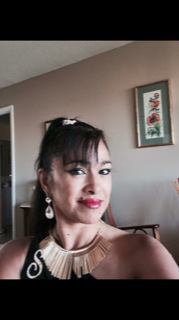 Silvia was ranted 2nd Top Female Ballroom Dance Teacher in The National Super Bowl Dancesport Series from 2003 to 2007. As a competing professional, she has won the MD Invitational Rising Star Championships as well as winning National Finalist placements at the Southwestern Invitational, Milwaukee Open, Twin Cities Championships, VA State, Capital Dancesport, Yuletide Championships, and Kansas City Invitational. Silvia became the runner up at the North American Championships in New Jersey and the American Smooth Champion at the European Dancesport Championships held in Barcelona, Spain. For four years, she was the Ballroom Dance Coach at Catholic University of America, was the Vice President of Metropolitan Arts Collaborative, and teaches Flamenco in the DC Metropolitan area. She is also certified with Suhaila Salimpour School of Dance and in LaBlast. ASHLEY HAMMOND graduated from the University of Kentucky with a B.F.A. in Acting. She toured professionally and taught children’s theatre for many years, traveling all over the eastern part of the country. She has been teaching acting at LTA and in the DC metro area for over 10 years. In addition to teaching, she is also the Managing Director of Educational Theatre Company. SARAH HOLT launched LTA’s improv classes back in 2001. A graduate of The Groundlings training program in NYC, she performed with various groups there before moving down to the nation’s capital and joining a then-fledgling troupe of nine members called Washington Improv Theater (WIT). She now performs with LTA’s house troupe The Retrocessionists and teaches improv workshops at The Actors’ Center. Sarah brings her extensive resume as an actor to her improv classes, encouraging students to play real and let funny happen. Recent acting credits include performances with The Little Theatre of Alexandria, The Keegan Theatre, the Folger Theatre, Nextstop Theatre, and the Source Festival. Through her company Mixed Minds (www.mixedminds.biz), Sarah combines her improv expertise and long-time corporate communications experience to provide workshops that enliven group dynamics for better collaboration and bigger ideas. KEELY KIRK began her improv career with Mental Floss, a Miami-based improv/sketch troupe. She went on to be a principle performer for over ten years with Laughing Gas Comedy Improv – Miami’s longest- running improv theater company. Keely relocated to the epicenter for improv, Chicago, and trained with iO (formerly Improv Olympics) and Second City. Currently Keely teaches, develops and delivers fun, fast-paced, interactive training and unforgettable events using theater improvisation techniques. Through her company, Playing OUTSIDE the Lines LLC, she has provided team building workshops for businesses, law firms, accounting firms, schools, as well as numerous Fortune 500 companies. She consults with businesses and training facilities in the Washington D.C. and Northern Virginia area. In addition to teaching, Keely also performs with various improv groups around the country. RICK LORE, an Actor’s Equity member, has directed over 20 works in Colorado and California, including the premiere of his own play, Mixed Doubles. Productions ranged from the traditional (Ibsen, Williams, Mamet) to a half dozen world premieres. Rick’s theatre career coincided with a 25 year stint in Public Television, where he travelled the country conducting workshops for on-air talent, geared to honing communication skills at PBS stations. ROBERTA MASTERS-CULLEN has been teaching children’s classes at the Little Theatre for twelve years and helped launch the summer camp program eleven years ago. She is a member of the Screen Actors Guild specializing in radio and television voiceovers, and has been a television news anchor and reporter. 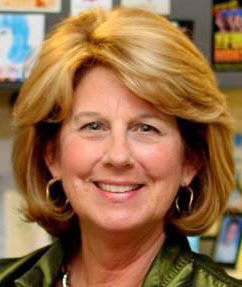 Roberta teaches acting at Burgundy Farm Country Day School and in the Alexandria City schools program. Seeing children’s confidence grow through imaginary play and performance has been a joy of hers for decades, starting with raising her own two creative children and extending to the many others she has taught over the years. MICHAEL PAGE graduated from Christopher Newport University with a Bachelor’s degree in Theater, focusing on Musical Theater Performance, Directing, Dance/Choreography, and Lighting. He has been very active for the past 10 years in the Alexandria theater community, working with theaters such as; MVCCT, PCP, ACCT, and LTA. He has directed, choreographed, and fight choreographed children and adults alike. He has a passion for teaching the performing arts in a logical way, while inspiring creativity and individual expression. Michael has been LTA’s camp director for the past two years during which time the camps experienced unprecedented growth. CLINTON PARKER has taught film classes for Northern Virginia Community College (NOVA) for seven years. These classes include: Film Making for Beginners, Film Directing, Introduction to Screen Writing, and Documentary Film Making. He has conducted training seminars and workshops both at NOVA and for the staff of a local television station. He writes film reviews and analysis for an online film site. In the film and television industry, Clinton first worked as a camera operator and a member of a camera crew for television and video specials. He has worked as an independent producer, director, and editor for short films and documentaries. He is an alumnus of George Mason University. 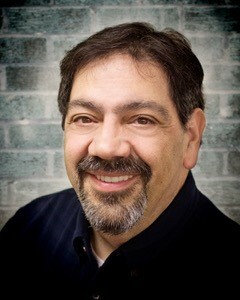 FRANK PASQUALINO Over the years, Frank has been involved with every aspect of theatre, from acting, directing, set designing, stage managing, set building, sound designing, and even producing on occasion. He has directed more than 50 productions, most recently Foxfire, To Kill A Mockingbird, and Once Upon A Mattress. He also directed Intimate Apparel which received the Ruby Griffith Award for Outstanding Achievement in a Play. Frank has also received two WATCH nominations for directing, and three WATCH nominations for Set Design, Construction, and Sound Design, as well numerous awards and nominations for other technical achievements within the theatre. SUE PINKMAN is a 40-year veteran actor-director in the northern Virginia theatre scene. Her “home base” has been The Reston Community Players, where she worked in every aspect of theatre from marketing to producing, directing and acting, in over 100 productions — including casting 30+. Sue earned her BFA from the Florida State University Theatre Department, and trained at the Olney Theatre under Halo Wines and Jim Petosa. Some of her favorite roles from her varied past include Adelaide (Guys and Dolls), Dolly Levi (Hello Dolly), The Witch (Into the Woods), Mother Superior (Nunsense), and Carmen Bernstein (Curtains). Her directing credits include 1776, The King and I, Proof, Brighton Beach Memoirs, The Full Monty, Shrek the Musical, to name a few, and ART at LTA. She is most proud of the record breaking 15-Watch Awards (including Best Director) for LTA’s production of Hairspray in 2011. When not directing, she coaches actors individually for auditions as well as character development. She LOVES to audition! HEATHER SANDERSON studied classical theatre at RADA in London and prior to moving to Alexandria acted extensively in the San Francisco Bay Area. As “Miss Heather”, she is known locally for instilling a love of theatre – in particular Shakespeare – into the hearts of children. Her youth Shakespeare troupes have performed in D.C. and in the U.K. and her privately coached monologue students have performed at the Shakespeare Theatre, the Ford’s Theatre and numerous community and children’s theatres in the area. Heather may be familiar to fans of British television programs through her Tea with Heather segments on Maryland Public Television’s Afternoon Tea. 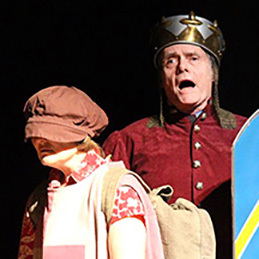 FRANK SHUTTS has been teaching acting since 1985 and has worked with the theater department of McLean High School, The Madeira School, and Bishop Ireton High School. He has directed 35 main-stage shows at LTA alone and currently serves as the stage director for the Gay Men’s Chorus of Washington (GMCW). A member of the Educational Theater Association, Frank also serves as a mentor with the CAPPIES program of the National Capital Area. A native northern Virginian, Frank returns to the education program at LTA where he previously taught Acting I and II, Shakespeare, and Acting in Comedy. KEVIN SOCKWELL is a veteran actor/director/teacher in the DMV area, last seen at LTA as Hoke in Driving Miss Daisy. He has spent years doing private parties and stage shows as a magician including traveling throughout the area performing magic shows in many local venues. JOHN WALDRON received his BFA in theatre from Virginia Commonwealth University. As an actor, director, and instructor, he has been working in the region for over 20 years. He has directed shows at Aldersgate and MVCCT. John can be seen in the motion picture ‘Talk To Me’ starring Don Cheadle and was featured on Investigative Discovery show ‘Who The Bleep!’ John is a member of the improvisation group, The Stagecoach Bandits. MONA WARGO has been a volunteer in the theater community for many years. She has painted countless shows for Dominion Stage in Arlington from 1998-2007, while also being nominated in 2000 for an ACT Award. She also painted for Foundry Theater in WDC in 2004. She returned to theater, to LTA in 2016 on the encouragement of the late Roland Gomez and jointly won a set painting award for his show A Party to Murder. She has continued to work on numerous shows for LTA, set painting and leading crew and is currently working on A Christmas Carol for the current season. She holds an A.A. in Liberal Arts from Lynn University, Boca Raton FL, A B.P.A. in Public Administration from UDC , Washington, DC and an MS/IT from The Johns Hopkins University, Baltimore, MD. 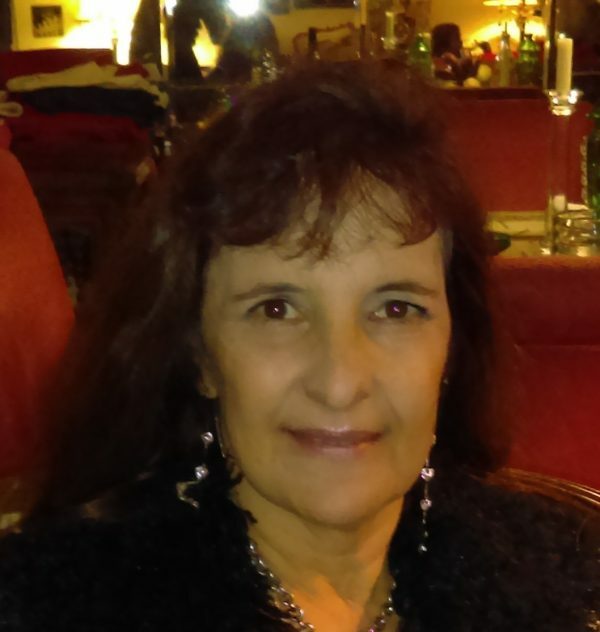 LINDA WELLS is a private vocal teacher/coach, working primarily with children and teens. She has appeared in many musical theatre productions in professional and community theatres locally and elsewhere including The Music Man, Sweeney Todd, The Sound of Music, 1776, The Most Happy Fella, Side by Side by Sondheim, Brigadoon, George M!, Fiorello!, Guys and Dolls, and Godspell. Linda is also a professional church soloist and pianist. She was the Children’s Vocal Coach for The Little Theatre of Alexandria (LTA)’s Scrooge: The Musical, and the Musical Director for LTA’s A Christmas Carol (nine times) and The Best Christmas Pageant Ever (twice); for Aldersgate Church Community Theatre’s Mulan, Jr.; and for Mount Vernon Community Children’s Theatre’s Narnia.